Japanese food has become one of the most popular in Indonesia as we can see there's a lot of sushi, ramen, udon and another Japanese food. Now I'm gonna inform you about Tempura ! Tempura or originally known as Tenpura is a Japanese dish made from seafood or vegetable which have been battered and deep-fried, they can be eaten as the appetaizer, main course, garnish or even a dessert ! 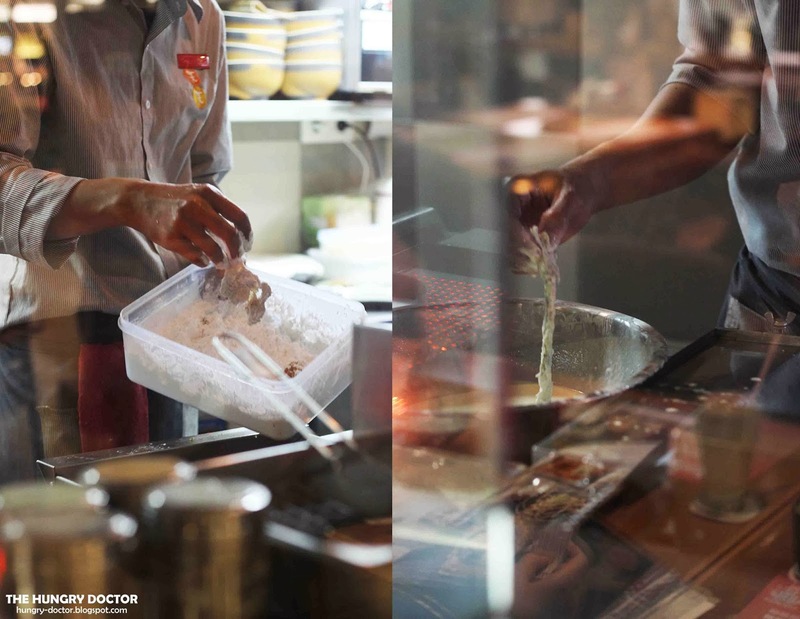 Yeep, in Jakarta you can find Tempura Specialist where you'll be served an awesome tempura, TEN TEN Tempura House. As we all knew that Tempura origin is from Japan, but I found some facts and quite surprised that Tempura recipe was introduced to Japan by Portugese ! Well, the word "tempura" or the technique of dipping fish and vegetables into a batter and frying them, comes from the word "tempora" a latin word meaning "time period" by the Portuguese, because there's a time-period that they're avoided to eat red-meat (beef, chicken, lamb, pork) so by that condition, tempura was created. 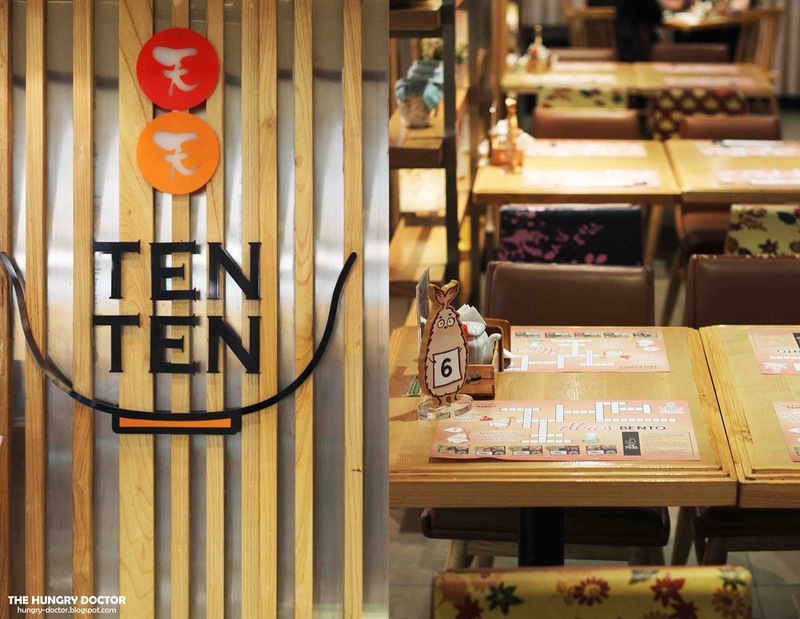 TEN TEN Tempura House is a japanese restaurant with tempura as their specialities under the Boga Group which also managing Pepper Lunch, Bakerzin, Paradise Dynasty, Paradise Inn, Canton Paradise, Boga Catering, Master Wok and Poney. The named TEN TEN means tenpura tenpura in refer to many kind tempura, yes they have a wide variety tempura here. Every dish here was served with tempura except the fried menu like karage or katsu. 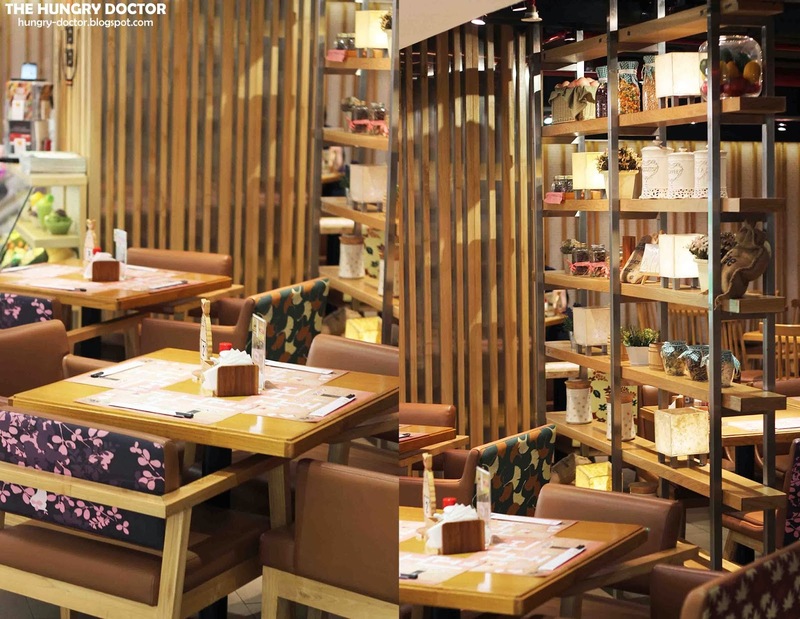 TEN TEN Tempura House was loctaed in Plaza Indonesia Level B, and near the main escatalor. The dining area was big and I really love woody ambience they used, looks so Japanese and calm. Most of the customers here were family and work-officers, maybe some younger couple. Personally, I would love to have a dinner here, such a nice great place. Oh ya, they also had open-kitchen, so we can see the cooking-process. Now, why TEN TEN Tempura House is different with another Japanese food restaurant? Most of the ingridients they used was imported and number 1 quality, but some of the seasoning and their sweet potato also pumpkin were local but still the japanese one, so authentic. Tempura is well-known as fried prawn, and here they're using Black Tiger Prawn which is the best quality of prawn in their class. The cooking-process of tempura didn't use special frying-machine instead of deep-frying machine. Special frying machine doesn't need gas but infrared and just need 3 minutes to be ready, so the texture will be consistent and every single tempura will be cooked perfectly. Love their technology. Everytime you order a main dish you'll get Tempura Nori for free yeey, taste really great ! Seaweed battered with their specials tempura coating and fried, so crunchy and tasty. I really love this, they're perfectly cooked and not too oily because of their special frying machine. 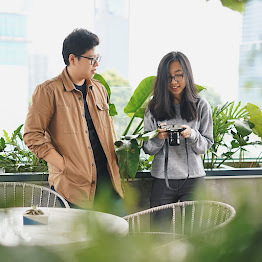 They also listed on the menu for IDR 11.000 per portion. For an appetaizer, there's Korokke or Croquette, yep light bites made from mashed potato and coated with breadcrumbs, croquette usually filled with vegetables but here they use kani (crab stick) and cheese as their filling. More japanese of course when you using kani for croquette, and they taste really great too. Served with simple salad and 1 portion contains 4 pieces of delicious croquette. To be honest they had a stunning salad ! Fresh ingridients and superb dressing, they use sweet and sour dressing just like thai salad, but taste better, so fresh ! The chicken karage just made it more special, well fried so crunchy and tasty, perfectly combined with the salad, my favourite ! Another salad from Ten Ten, actually they're same as chicken karage salad, but for ten ten house salad they used tempura instead of karage, there's ebi tempura, onion, pumpkin and oba leaves they're all so crunchy and taste good. But most of all, I love their dressing. The word "tendon" refers to Tenpura Donburi, so it's a combination between donburi which is rice and topped with tempura ! Well, this tendon comes in 5 flavours : Original, Spicy, Seaweed, Curry and Black Pepper. As usual , the tempura was perfectly executed and the black pepper sauce just made the taste bolder and stronger, love it ! From donburi section I had Tenbara, "don" means "bowl" in Japanese, so this Tenbara Doburi served on the bowl and topped with fried mushroom and prawn, all the ingridients have been dice-cutted, well battered and perfectly fried of course. Tenbara used tendon special sauce, topped with seaweed and sesame, don't forget they also served with real miso soup, yeep because nowadays in Japanese restaurant the miso soup wasn't thick and doesn't taste like miso soup. TEN TEN Tempura House also had ramen and udon as their main, Tempura Curry Ramen was the best ! Thin Noodle with Curry and served with tempura separately. They taste really great but I expected stronger and thicker curry hmmm they quite spicy anyway. 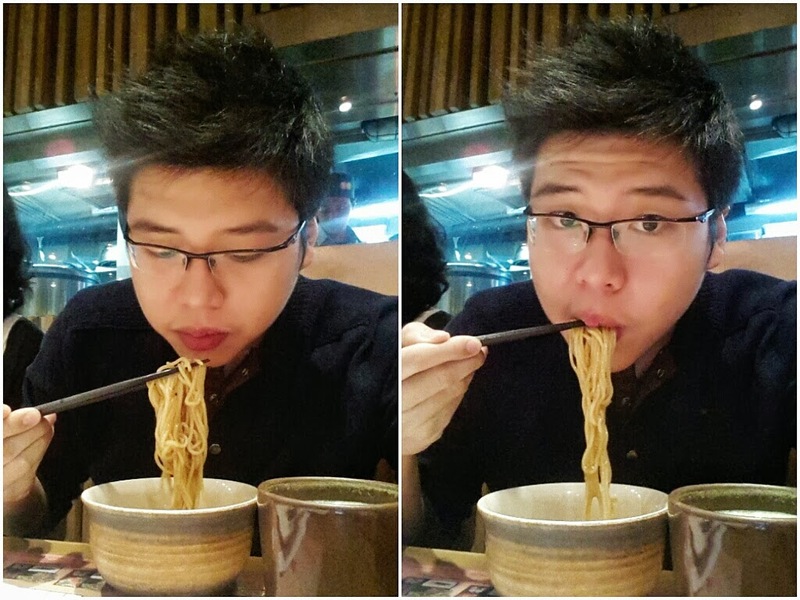 The noodle section here not just ramen but there's also udon, and the favourite was Tempura Yaki Udon !! Fried spicy udon topped with tempura, shallots and dried bonito ! So damn delicious, seriously one of the best dish here, I'm falling in love so deeply with their tempura yaki udon, must order one ! Let's go for dessert ! 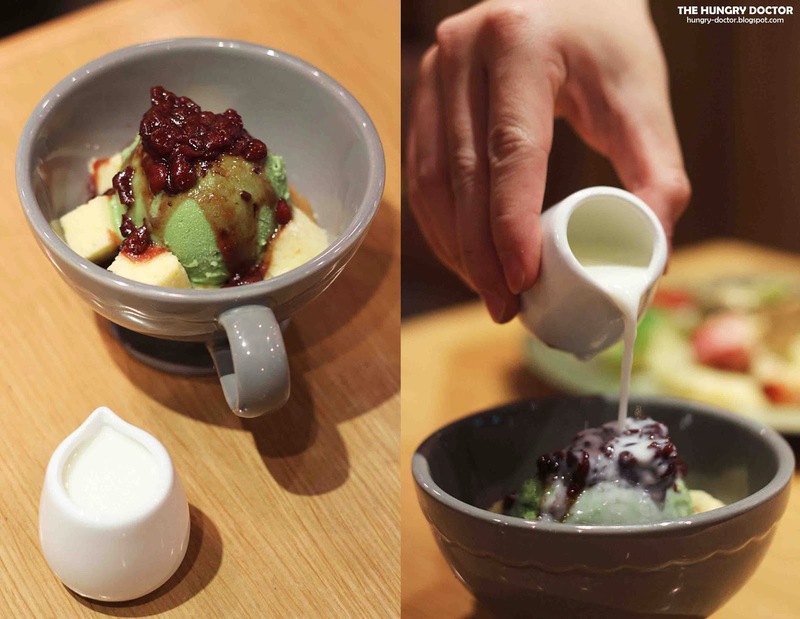 Cheese Pound Cake served with Matcha Ice Cream, Red Bean, and Milk. The cheese pound cake was soggy and the texture was perfect, combined with my favourite matcha ice cream and sweet red bean, then if you want the cake more moist just pour some milk, not too much or the texture of pound cake will be too soft . As they're the tempura specialist, they also offer tempura for dessert. Sweet crispy fondue , tempura made from apple, pear, and strawberry served with chocolate-dip just like an usual fondue but more unique because of the sweet tempura, great idea. Save the last for the best !! Here's panncotta and I swear this is the best pannacotta I've ever tried ! 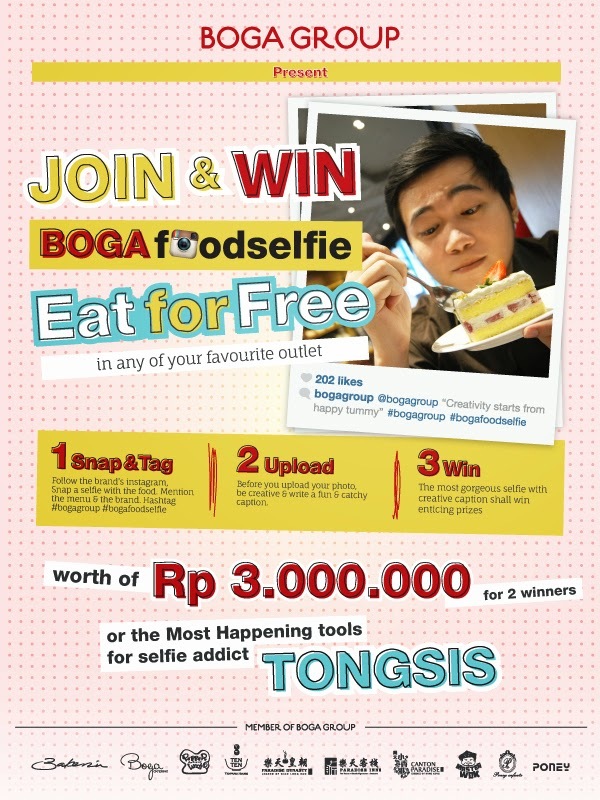 I get addicted and for you who wanna come here, don't forget to order their pannacotta, nothing I can say beside perfect ! I love the texture, the taste, the presentation, everything ! They come in 3 different flavours : rum raisin, matcha red bean, and black sesame, which is the best? All of them, when thinking about pannacotta I'll thinking of Ten Ten Pannacotta. Love it so much..